Workout Wednesday aka The Ski Season is Coming. She Only Does the Things She Like to Do. pop quiz: the lyric above is from what song and artist? clue: the punks from Derry murmured about next Wednesday. Yes, if you are on your game; it is that time of year again. You’ll have already noticed all the ski holiday companies upping their game on social media and in emails. You may even have already booked your ski holiday for the 2018/19 season. And you are starting to think about new ski gear and getting yourself ski fit. To be frank, just working out on a Wednesday is not going to cut it. I’m absolutely sure the athletes of Team GB work out virtually every day. The BBC, through their #GetInspired programme has teamed up with Team GB athletes to show us mere mortals a thing or two about their workout programmes. 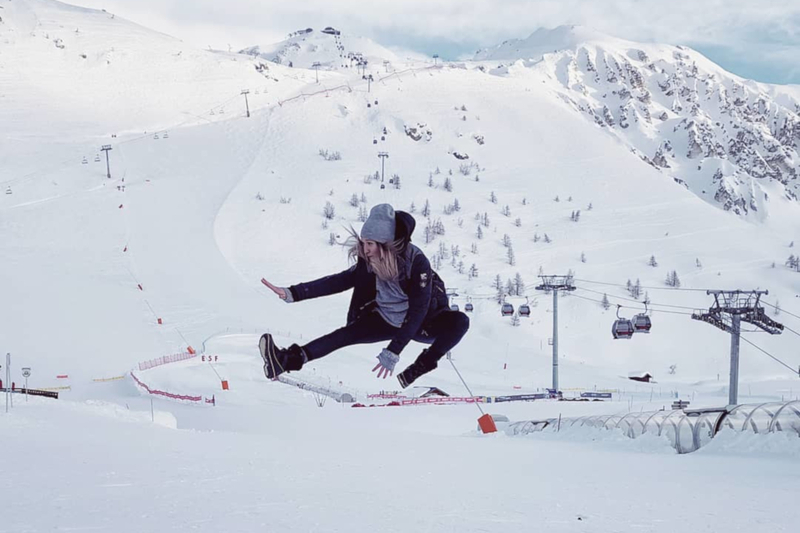 So, what is good enough for freestyle skier Rowan Cheshire is good enough for me. I’m still doing my Two Minute Toothbrush Tone Up and try to get out Biking and Hiking every week, but now is the time to start to hit the gym. Rowan has done a number of workout Wednesday videos to get us started. Kymira Infrared Sports Socks: A Review. Men’s Ski T-shirt | Better Skier. Ski Fitness Means Functional Training with Super Sets. Too Old to Ski. Never, Keep Exercising and Keep Optimistic.